It was an exciting day at the Food Bank! 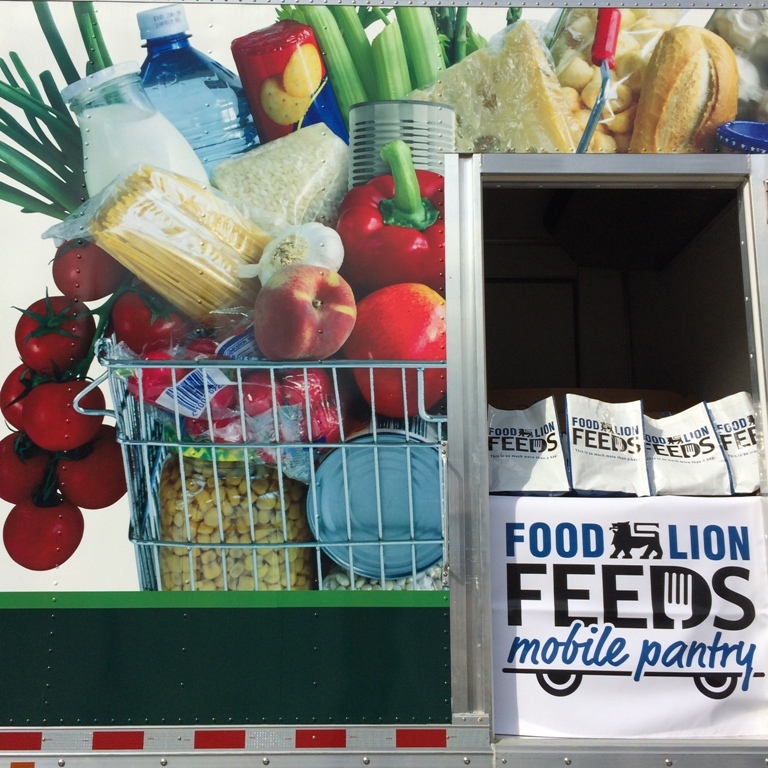 Today our good friends at Food Lion generously donated a brand new truck that will be used as a Mobile Food Pantry. This unique vehicle, first-of-its-kind for our food bank, will empower us to provide more food, including more fresh produce, to high-need pockets of our service area that experience a combination of food hardship, lack of transportation, or limited access to grocery stores. In the coming months this new Mobile Food Pantry will focus in particular on Durham County Public Schools. 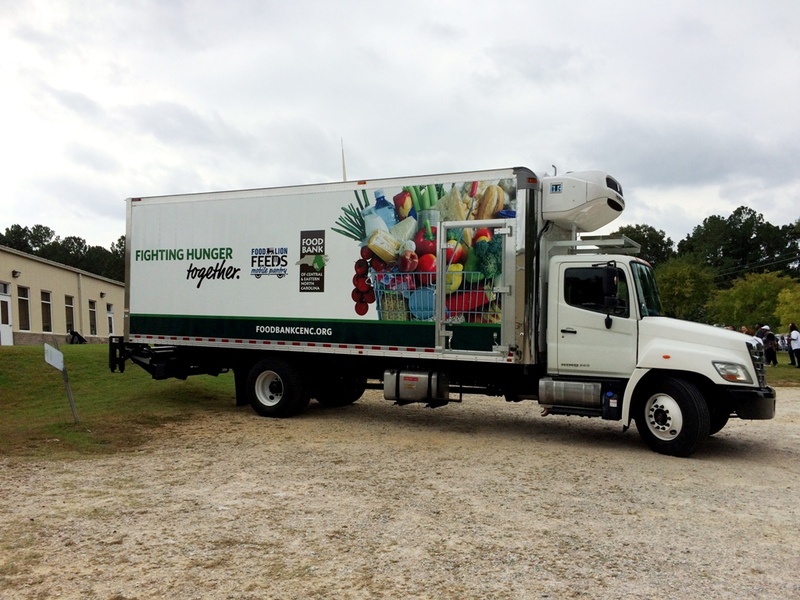 Thanks to Food Lion, this truck will help stock school food pantries in Durham, providing children and their families more access to emergency food in a familiar place. What’s more, because the Mobile Food Pantry is refrigerated, we will now be able to deliver fresh produce to schools in Durham County, increasing access to fresh, healthy food in these neighborhoods like never before. We wasted no time in putting this incredible gift to work. Today, with the help of the Mobile Food Pantry, Food Lion President Meg Ham and Raleigh store associates delivered more than 250 bags filled with fresh produce such as carrots, onions, potatoes, and apples and other shelf-stable items to seniors, families, and individuals in need at our partner agency Gethsemane 7th Day Adventist Food Pantry in southeast Raleigh. A Food Lion store associate helps distribute bags filled with fresh produce to people in need at a partner agency in southeast Raleigh. 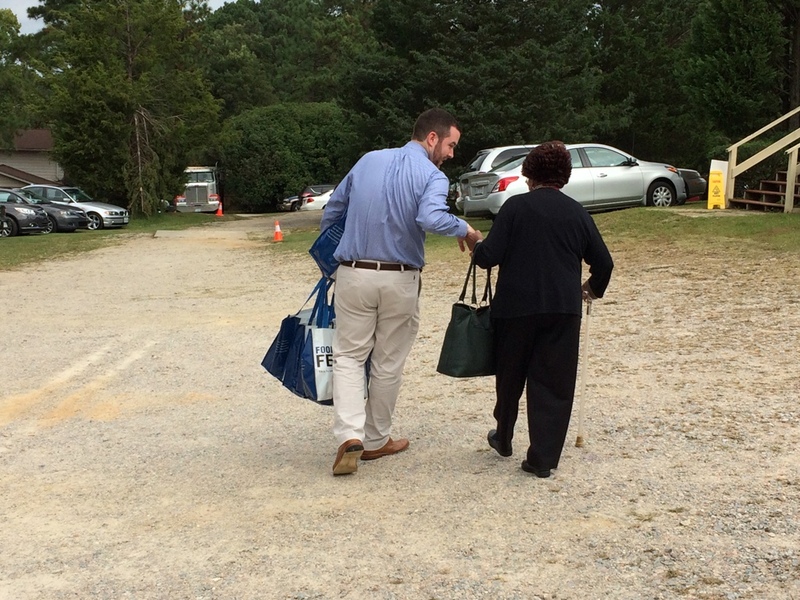 A Food Lion associate helps a senior carry bags filled with food to her vehicle. 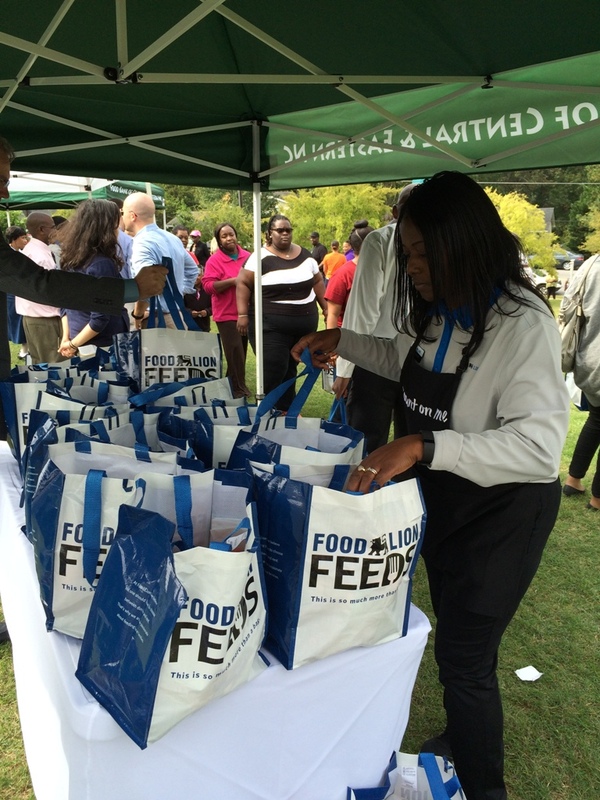 Every day, people are fed thanks to our strong partnership with Food Lion, whether that be a meal on the table or groceries in the pantry. And now with this new initiative, we know thousands more children and their families will have fresh produce and healthy food on the table. Stay tuned for more updates about our new Mobile Food Pantry!